Brussels, 9 December 2009 – Urgent coordinated action is needed to avoid the thousands of preventable strokes that leave many atrial fibrillation (AF) patients mentally and physically disabled or dead, every year. A report, How Can We Avoid a Stroke Crisis?, launched in the European Parliament today by Action for Stroke Prevention, a group of health experts from across Europe, proposes measures to tackle stroke in patients with AF, the most common, sustained abnormal heart rhythm and a major cause of stroke1. Their proposal, endorsed by 17 leading European medical professional and patient organisations, calls for EU policy makers and Member State governments to act before the increasing frequency of these strokes becomes a major public health crisis. Recommendations made by the Report include: improving patient education and AF diagnosis and stroke risk assessment, taking new approaches to prevention, facilitating the exchange of best practice between Member States, developing strategies to support adherence to guidelines, and the provision of equal and adequate administration of therapy for patients with AF. Stroke is the most common cardiovascular disorder after heart disease11. Current trends predict that the number of strokes in the EU will rise from 1.1 million per year in 2000 to 1.5 million per year by 202512. Furthermore, AF related strokes are more severe, cause greater disability and have a worse outcome than strokes in patients without AF. People who have a stroke caused by AF are more likely to remain in hospital for longer, are less likely to be discharged to their home and are 50% more likely to remain disabled13,3. The impact of stroke also stretches our healthcare systems. The economic burden it creates accounts for 2–3% of total healthcare expenditure in the European Union6. Healthcare costs associated with stroke are higher for patients with AF than for patients without AF14. AF is a strong independent risk factor for stroke and accounts for 15–20% of all ischaemic strokes (strokes caused by blood clots)2,3. The number of people suffering from AF is around six million in Europe alone1. People with AF are an important target population for reducing the overall burden of stroke, which has been identified by the Heart Health Charter and European Union policy as a key need in Europe15. 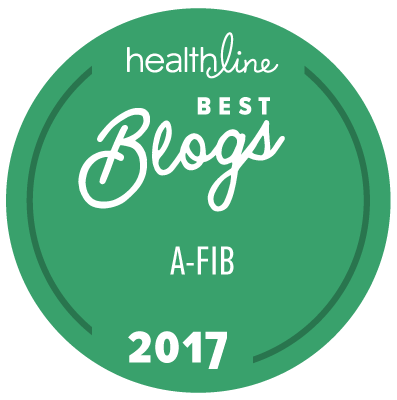 AF is the most common, sustained abnormal heart rhythm2. It causes the two upper chambers of the heart (the atria) to quiver instead of beating effectively, resulting in blood not being completely pumped out, which in turn causes pooling and can lead to clotting in the atria. If a blood clot leaves the atria, it can become lodged in an artery in the brain blocking the blood supply and causing the patient to suffer from an ischaemic stroke16. Approximately one in five ischaemic strokes are due to AF3. AF-related strokes are more severe, cause greater disability and have a worse prognosis than strokes in patients without AF3. Although the current treatment for stroke—vitamin K antagonists such as warfarin—can be effective, they are also associated with a number of drawbacks and are currently underused in Europe, especially in elderly patients at greatest risk of stroke17. The authors are global leaders in cardiology, neurology, health economics, policy and patient advocacy. The Action for Stroke Prevention alliance is financially supported by Bayer Schering Pharma AG.